When a foreign friend of mine came to visit Romania, I told him that if there’s one thing he must be really careful with it’s the taxi he’ll get from the airport to the hotel. And even though he heard stories about how taxi drivers in Romania are trying to scam you of everything you’ve got and he was prepared, he still had the worst luck ever. Here’s what happened: just as we’ve discussed, he talked with the taxi driver about the cost of the ride before getting in. They agreed that the ride from the train station to the airport will be 15 Euros (yup, taxis are really cheap in Romania! ), so he hopped in. When they were halfway there, the driver told him: “You know what, the ride will be 50 Euros, I didn’t do the math right when we first talked.” My friend said that no, he would not pay that much and that they had agreed on a different sum. The taxi driver said that he misunderstood the amount, but that was not true since my friend was prepared for this too and used his fingers to explain the “15”. A bit of a scandal followed, with my friend threatening to call the police or jumping out of the car. Eventually, they settled for 20 Euros. But if you were to go through this, you might have not gotten away with 20 Euros and paid the huge sum instead. Because taxi drivers can be very intimidating here, they can get loud and curse a lot and, to put it bluntly: scare you and bully you into paying what they want. But you have to keep your cool and make them understand that you’re not their next victim! Don’t get me wrong: the big majority of taxi drivers in Romania are honest people who would not even negotiate a larger sum and instead turn on the meter and charge you accordingly (you can ask them an estimate of the price though and they will tell you a sum that’s very close). 1. 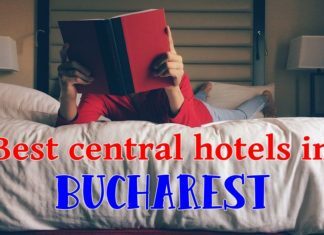 Do a bit of research first: find out what the average price per kilometer is in the city you’re in (right now, in Bucharest the general price is about 1.40 Romanian Leu per kilometer, about $0.5, while in the city where I live it is 1.80 Romanian Leu). Cars should always have the tariff easily visible on the car and inside, just above the meter. 2. With even more research done, if you don’t know the route you should be taking, always ask the taxi driver how much will it cost to get where you want to. If what he says is close to what you know should cost – or it seems like a decent value, go for it! 3. Go for the official taxis. Generally, every city has a few big firms that are trustworthy. Stay away of no name taxis as these are those that will scam you. Use common sense when it comes to this: either search the names of the taxi firms in the city you are in before getting there or just look around a bit to notice the ones that are seen more often. Fake taxis and scammers are not employed by a taxi company and usually they drive some crappy looking cars. Also, the Bucharest airport (and probably the other airports in Romania too) has a recommended company they’re working with: they usually charge a bit more per kilometer, though, but still A LOT less than what the “sharks” try to get from you. 4. Be extremely careful near airports and train stations. That’s where the taxi drivers know that they’re dealing with tourists and they might try to take more money from you. 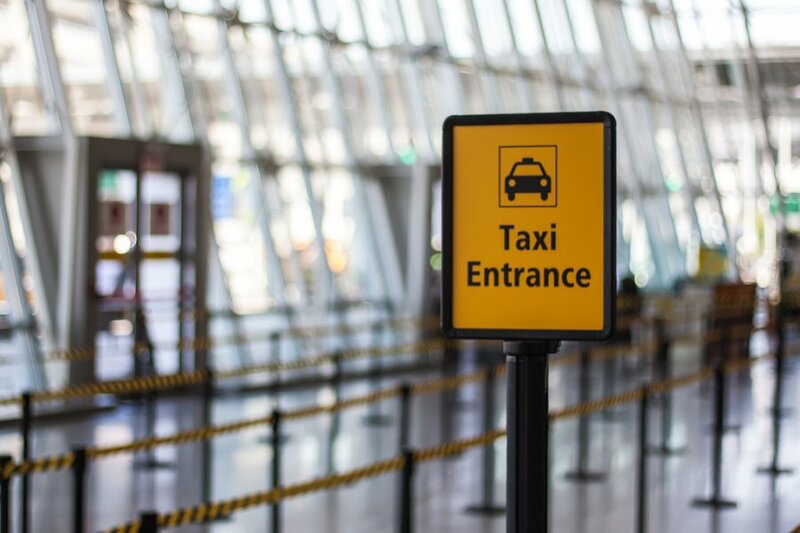 If you don’t know anything about the taxi companies in the city or the price you would be supposed to pay, it might be the wisest choice to call and order a cab: this way, you know that it’s an official and chances of getting scammed drop significantly. 5. If you can’t do any of the above, ALWAYS agree on a price before getting in a taxi. Most honest drivers won’t agree on a price though because they MUST turn on the meter. In that case, see number 2. But if you do agree on a price, make sure that it’s clear (so they won’t end up saying that they meant “fifty” not “fifteen”). And even if they try to change their mind and ask for more, hold your ground and don’t give in! Finally, I have to repeat it: generally, taxi drivers are honest and won’t try to overcharge. Also, in many cases in the big cities, you might get faster where you want to get by using the public transportation system which is a lot cheaper and you will surely find people who speak English and who are willing to help you find your way. Also, Uber is available in some cities in the country and most Romanians are switching to using it because the drivers are more polite than taxi drivers and the prices are fair, lower and known before hand. So installing the Uber app might also be a good idea if you’re trying to avoid getting scammed by taxi drivers in Romania. I was scammed by a taxi driver in China. I should have gone to an official cab, but I didn’t know what was “official”…apparently the official cab drivers have their photo and taxi ID up so you can report them. In anycase, not only did the driver overcharge me (I didn’t know how much it should cost), but he pulled a scam by switching the bills. I gave him the money for the ride, and he gave it back saying that it was ripped. I told him he was being picky and it was fine but he kept refusing it until I gave him a different bill. Well the bill he returned to me turned out to be counterfeit…he switched the bills without me seeing. That is pretty incredible! I remember watching a while ago a show called “Scam city” and saw something similar to this happen in a different country, somewhere in South America, I guess. Fortunately, stuff like that can’t happen in Romania as our bills are made of plastic and counterfeiting them is really difficult. A little preparation really does go a long way. I think having a pricing benchmark ahead of time is the best protection you can get. Thanks for the tips,C! It’s always best to be prepared, than to be sorry later! My god! I would love looking for a fight like this, lol! 15 or we’re calling the cops and l can yell and scream even louder :0)) . He could get me by going the long way though, cos l may not know. They do that at home too, you have to be firm, match their tone and come to a price before hopping in. Don’t you think it will be a good idea if they can simply be honest and charge what they are suppose to. Obviously there is a lack of that part of humanity ….CONSCIENCE in Romanian taxi drivers. I was involved in foreign tourism for 20 years, responsible for creating tours to other countries. Taxi drivers can indeed be a PITA. Fortunately, I found the people of most countries to be very friendly and helpful…except for taxi drivers. If I had problems, I usually reported them to various government agencies after taking their name, number and information down. And…in unusual cases I refused to bring a tour group into that particular country. Fortunately, we always hired vans or small buses with our own drivers under contract for the tour groups. But…I must say, it makes my temper boil when confronted with such a situation. Wise or not, I was always ready for a fight and I could easily match the screaming and cursing of the driver. Seems stupid to me now some 30 years later as it’s easy to create a dangerous situation. Now…it’s one of the reasons I don’t travel overseas anymore. Too much hassle. As for Romania, thanks…but I much prefer the beauty and security of the State of Oregon. As one German tourist told me recently, “The USA doesn’t have such a great health system, but they have the most beautiful state and national parks on earth.” Amen! Well, I am sure that the situation can’t really get dangerous and past the screaming point. And I am sure that each country out there has its Pros and Cons and each has enough natural (or not) beauty to keep one pleased living there. “C”: Great information! I’ve heard in Hungary, some taxi drivers try to give change back in your OLD Romanian currency (when it was x1000). (For the life of me, I can’t figure why any country would still maintain the x1000 rates! I’d have a heck of a time, not being a math whiz, trying to keep track of my finances with such large denominations!) This is the same in Colombia, with the large denominations. BTW: there some taxi drivers in say, Medellin, Colombia who will not only overcharge you, but will also have an armed accomplice force you to an ATM to withdraw all your money–then the driver and his accomplice split the money! This is not the norm, but it does happen, unfortunately. Mr. Michael, I lived in Portland, Oregon for 15 years. Yes, Oregon is a beautiful state, but the misinterpretation of the Second Amendment, and the resulting day to day carnage in the USA, makes me long to live in a sane, non-gun crazy country, like Romania! Also, from what I’ve seen, Romania is a most beautiful country, too! “C”: Do the taxis have seatbelts for the passengers, and do the taxi drivers prefer a lone passenger to sit up front with him/her? Thanks again for your words to the wise! Hello, Teil. Pretty scary what you said about taxis in Colombia, I didn’t know that! In Romania, taxis have seatbelts for the passengers (it depends on the car, though, as many don’t have seatbelts on the back seats) but you can sit up front – there are no actual rules on that and I don’t really think taxi drivers have a preference on where a lone passenger sits. 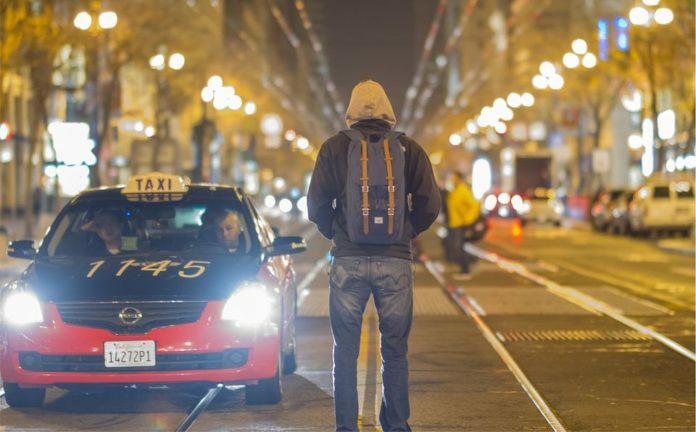 I have been scammed by a taxi driver before, and I learned a valuable lesson. Now I always get a price before getting in beforehand, or at least try to understand what the fare will be. Scammers are everywhere. So being smart when visiting places you’re not familiar can really help you a lot and even save you money. Great article! I recognize that you decided to go in a different direction with regards to your blog , however I am wondering if you could enlighten me on your perspective of the following financial situation. I have met a young Romanian through a mutual friend and she has somehow created a financial fiasco that is now ruining her life. From what I understand, she would be considered insolvent in any other country but Romania and her only defence is to hide from the so called collectors. She does not have the revenue or the means to make any type of restitution and tells me that your country does not have any consumer debt protection whereby she can declare bankruptcy or apply for some kind of debt relief. The purpose of bankruptcy is to allow a person like her to become a contributor to the countries economy and not spend her years trying to hide. Can you give me any insight into what your fellow countryman may have as options when they find themselves in this situation. 1. If the debt is to the state, then they would automatically hold most of her revenue before it gets to her until the debt is collected. 2. If the debt is to the banks, they will eventually confiscate and sell her belongings, eventually. It’s a really long process and if she’s made it so far it might mean that she has nothing or very little on her name (very common in Romania), so her only option is that of hiding from the collectors. Eventually, she will have to pay, one way or another. So unfortunately, there is nothing for her to do in such a situation. No help, I mean… she could try to find a better paying job, getting an extra job and so on – but all that means solving the problem on her own. And a word of advice, even though I don’t know the situation: if you’re considering helping her out, make sure that the problems are real! Obviously there is no solution to a taxi driver charging whatever he wants and the only solution is for to decide what you believe is reasonable. The suggestion here is to decide what you will pay or get out of the taxi. What is the purpose of the meter that runs in the taxi? How can you pre-determine the price is it is based on the meter? It only takes one bad apple to spoil a basket of apples. How do you determine who is nice one. I have been robbed by one and I don’t trust any since. My story is that I am an American. I went to one school in the morning and paid for the 8 Km trip. Returning in the afternoon, I was changed twice as much for the same trip. I asked him why and he gave me the receipt and showed me the meter. How can the same trip of 8 Km becomes 18 Km. Just a bunch of corrupted bandits with no conscience…as simple as that. I was tempted to refused to pay and let him call the police but as a foreigner I thought it would do me no good. I chose to be here and I just have to find a way to deal with the situation. It is just sad that corrupted ones and ruining the livelihood of the honest ones. Very sad indeed. But it is the lifestyle of the rich and famous and we cannot blame the poor hustlers to pursue their dream. It’s true, Ivan… these things unfortunately happen. We have to learn from our mistakes though and not let them happen again. Where to report if you’ve been scammed? I traveled from Agigea to constanta city center and I paid 60 US dollars (230 leu) to and fro. You should visit the police station and tell them about this. The seaside is also a hot place for inflated prices during the summer and all the taxi drivers there have huge rates.